Mr. Jerry Luther Hall, age 78, of Covington, GA passed away Sunday, January 20, 2019. He was born August 5, 1940 in Floyd County, Kentucky to John Graham Hall and Hester Hall, who have preceded him in death. 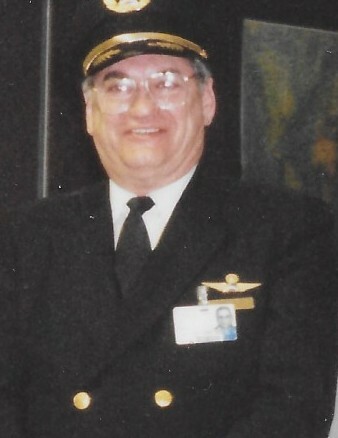 Mr. Hall was a retired Delta Airlines pilot after a 30-year career. Mr. Hall will be remembered for his love of both flying and the Kentucky Wildcats, and for his generosity of spirit. Mr. Hall is survived by his daughter, Deborah Dawn (Brant) Gardner, his son, Dr. John David Hall, his three grandsons, Graham Hall (Alyse) Gardner, Griffin Owen (Madison) Gardner, and Grayson Hunt Gardner, and his sister, Rosa Mary Hall. Mr. Hall was also preceded in death by his brother, David Morgan Hall and his sister, Elizabeth Caroline Hamilton. A gathering of friends and family will be held Saturday, February 2, 2019 from 4:00 PM to 6:00 PM at J.C. Harwell and Son Funeral Home in Covington, GA. There will also be a funeral service held in Kentucky on Friday, February 8th at 7:00 PM with visitation 5-7 PM until time of service at Hall Funeral Home in Martin, Kentucky. J.C. Harwell and Son Funeral Home, 2157 East Street, SE, Covington, GA 30014 is in charge of the arrangements. A guest book may be signed on-line at www.harwellfuneralhome.com.